When it comes to large square footage of tile covering – this house took the trophy! 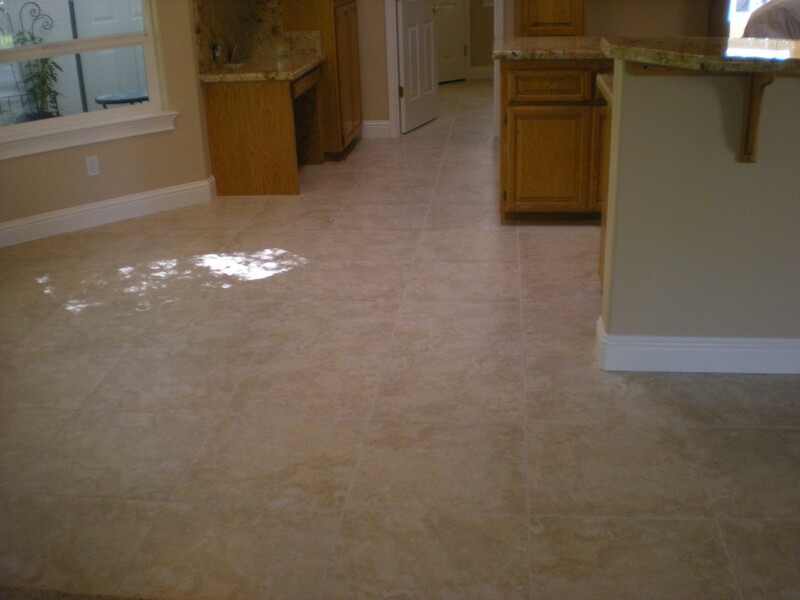 This job included tearing out the old tile and even removal and replacement of appliances, fixtures and toilets. 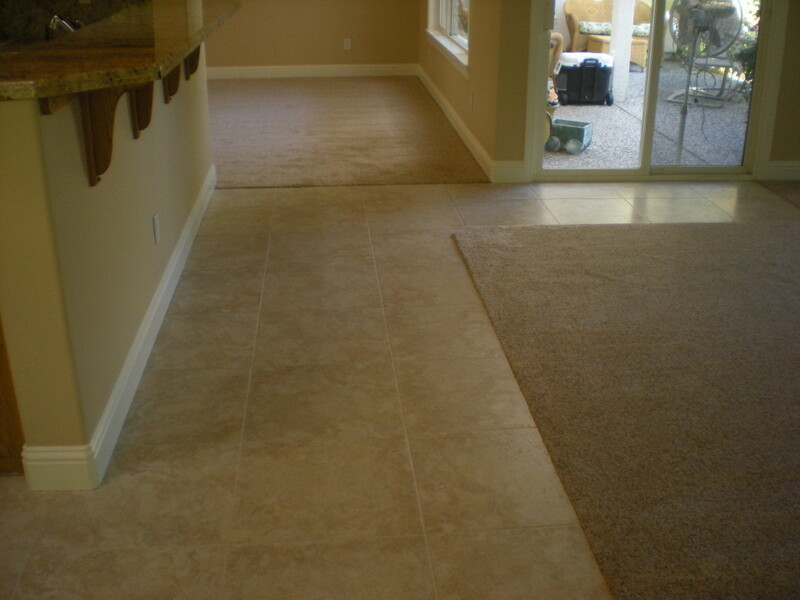 We tiled the entry way, kitchen, in front of the raised bar, the dining room and laundry room. While planning the project with the customer, we a suggestion for one subtle change: to tile in front of the slider. We’re pretty sure they were really happy about taking that suggestion. We also thought that the change over from 18-in. x 18-in. to 20-in. x 20-in. tiles and a 1/8-in. 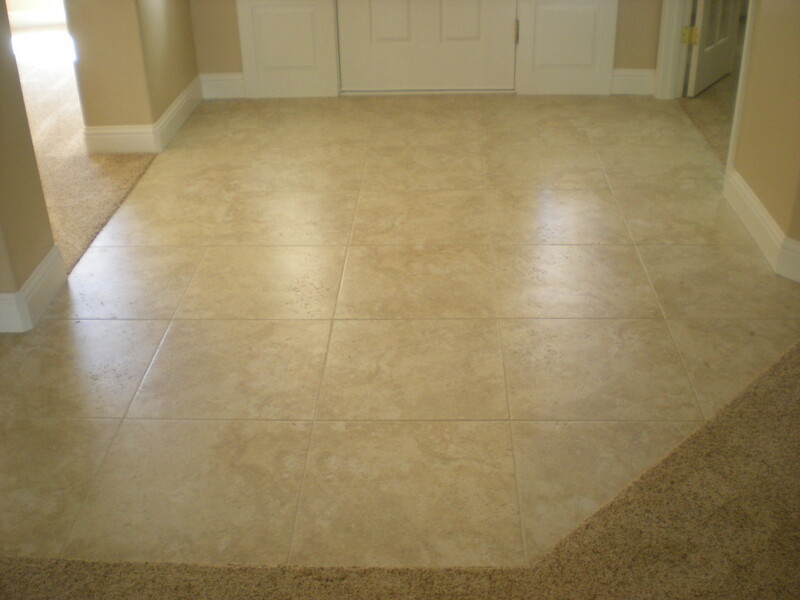 grout joint was much less busy and an overall cleaner look.